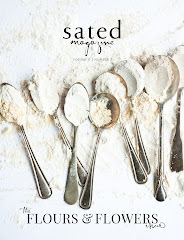 We are so excited here at sated HQ because shipments of the magazine are arriving from the printer every week, and we're finally sending off the pre-orders and orders to you all now! This week, it's been a lot of time stamping, labeling, and stuffing envelopes--and having long conversations about Russian cookies with Maria from the post office counter as she stamps and stickers all of the shipments--but it's great to know that copies of sated will soon find their way to your mailboxes and doorsteps. If you haven't yet, you'll want to order your own copy. In other news, Anita and I will be speaking about food photography at BlogHer Food next weekend (June 8 - 9) in Seattle, so if you are in the area, we'd love to meet you! We'll have a few issues of sated with us, too, if you want an in-person gander at the magazine. 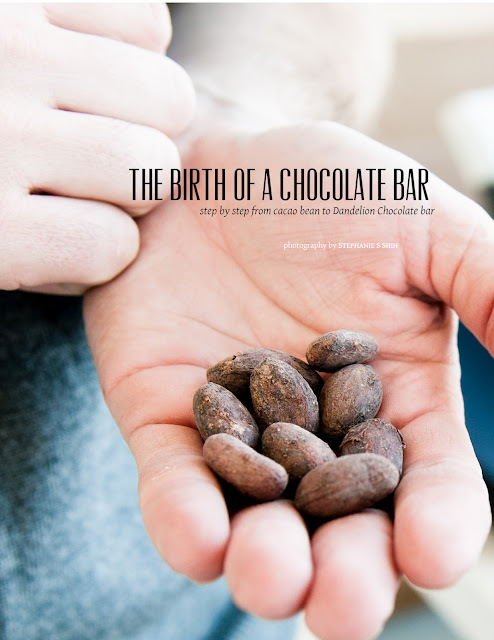 In the meantime, as long promised, here is your second round of peeks inside the Dark Chocolate Issue. 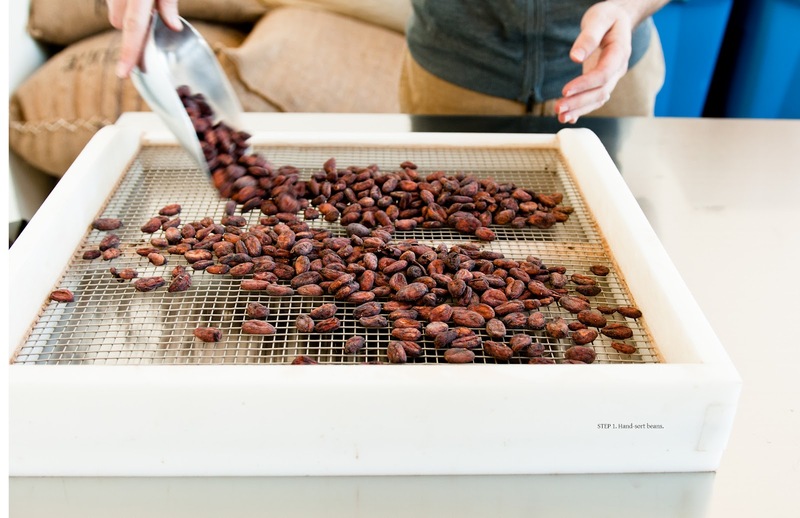 The above photograph is from Kamran Siddiqi's Essential Skills column, where he breaks down the seeding method to chocolate tempering. 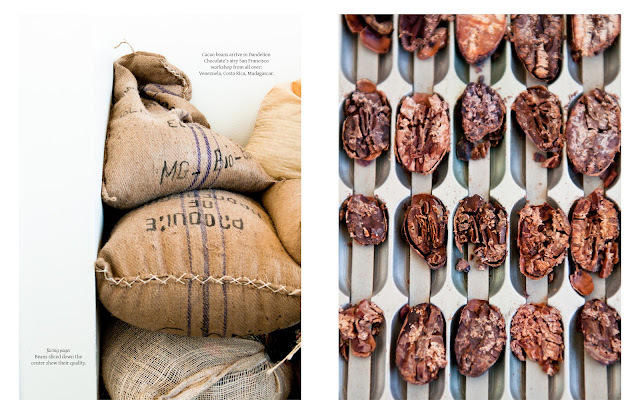 In this issue, we also go behind-the-scenes of the bean-to-bar chocolate making process with Dandelion Chocolate, and below are a few of the spreads from that story. 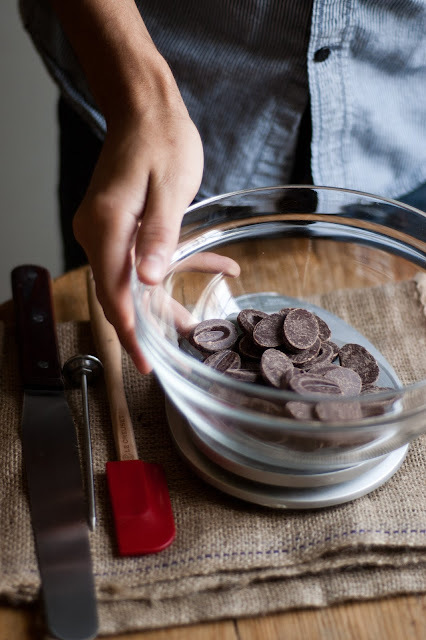 More previews at our recipe features to come next week! What gorgeous photos! I can't wait for the magazine! I received my copy today and I am swooning!!!! It is so amazingly gorgeous, and the recipes look fantastic. Congratulations - fabulous job everyone!!! I got my copy on Thursday is magnificent. I bought it out of solidarity for fellow bloggers, and the reward has been so great. Received my issue yesterday. After a harrowing week, the sight of the handwritten mailing address on the envelope was a balm (please do not change that!! )...but, words cannot describe how beautiful the magazine itself is. But, how it affects this reader each time I open it? Suffice it to say that soothed, comforted, refreshed, and inspired are all words that lead up to a feeling of "sated." It's the perfect name for this magazine, and I can hardly wait to get more. Thank you thank you thank you for bringing this beauty to me and the rest of the world! I am so excited and happy to be a part of this. I just discovered you and am in love after just having seen the cover photo. I'm going to have to get my hands on a copy of the whole thing one of these days and go through it. I love the quality that is obvious from the cover. Bravo to you for your commitment to excellence in the food magazine realm. It's needed very, very badly! Stunning photography, well done! Do you ship to Australia too? Or do you also do it as an eMag? @Susy: I can't find your name on our online order list. 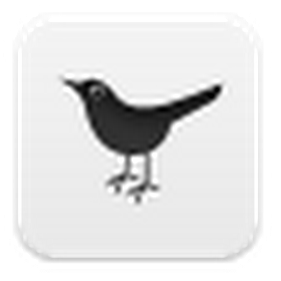 Can you please email us at orders@satedmag.com so that we can help you? 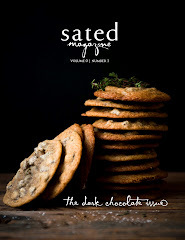 Just got my copy of Sated. It is a beautiful magazine and I can't wait to try the recipes! Congratulations---you all did a beautiful job.